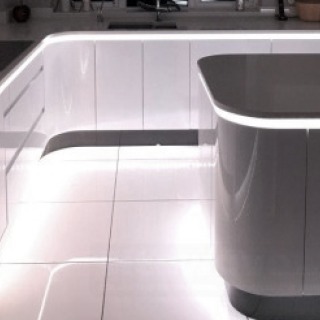 We can supply Waterproof LEDs including our Plinth Lights, and Waterproof Strip tailor made to light up niches and alcoves, it can even be inset into tiles. We have engineered our Strip with additional protective components to prevent premature failure. 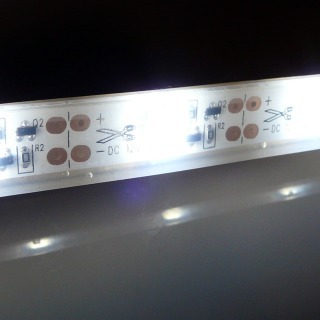 SMD LED Modules - back light mirrors, shelves etc. 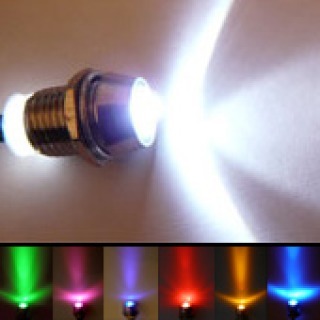 You can use a single colour, or if you want to be really creative we have colour changing LEDs. Used with our high quality colour controllers you can choose any colour from the spectrum including whites, warm whites, vivid colours, and even pastel colours. 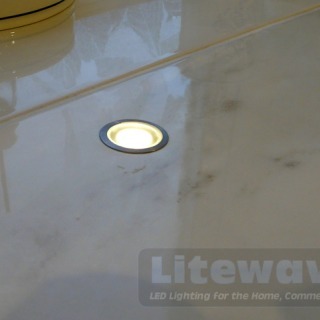 Our Bathroom LED Lights are low voltage and waterproof making them completely safe for use in the bathroom environment. 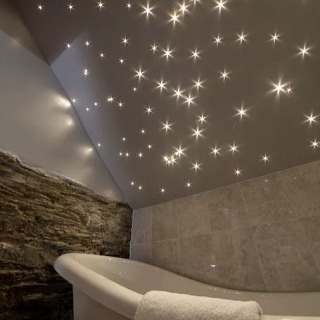 This makes it possible to create stunning lighting effects in various locations throughout the bathroom. 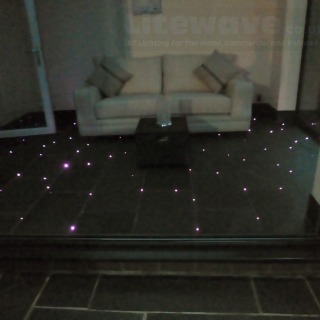 For this we recommend our LED Plinth Lights, we stock them in both single colour and colour changing options. They produce enough light to use the bathroom without the main lights being on. Our 20mm Plinth Lights offer an economical way to light alcoves and niches, available in single colour or colour changeable. For an even brighter light we recommend using our Waterproof LED Strip in the niche or alcove, we can make this to length for you. 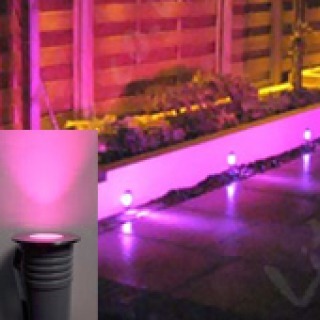 A Colour Changeable Waterproof LED Strip is also available. 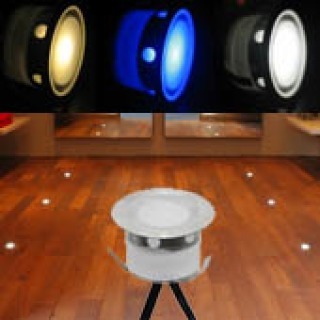 Colour Changeable (RGB) LED Spotlights are ideal for this, use a single light or several for the best effect. 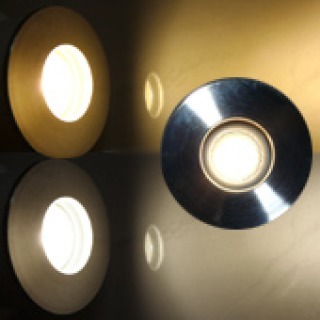 All of these lights are what we call auxiliary or mood lights and are easily added to a new or existing bathroom. We recommend a 2 Gang Light switch outside the bathroom, one switch is for the main lights and the other for the auxiliary lights. 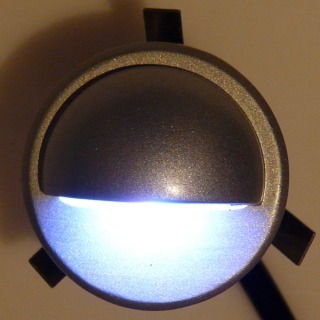 We have "Glass Touch Switches": /prod_cat/C_touch-control-switches-and-dimmers_85.shtml for an ultra modern look. Switch on the lights automatically when someone enters the bathroom. 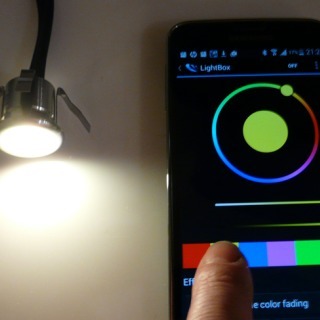 By switching on the mood lights alone it creates a low-level light in the bathroom, meaning you won't be blinded early in the morning when needing to use the facilities. Our PIR Motion Sensor wired between the Auxiliary Light switch and the Transformer for the LED Lights will allow the lights to switch on automatically when someone enters the bathroom, and off again after a preset time of no motion being detected. 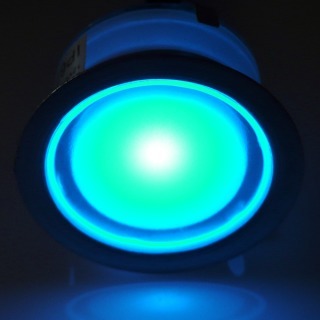 Use the 2 Gang Wall switch as usual, the Mood Light switch can then be used to override the motion sensor. Our Bathroom LED Lights make it possible to use the facilities in the early hours without being blinded with the main lights, making it difficult to get back to sleep! 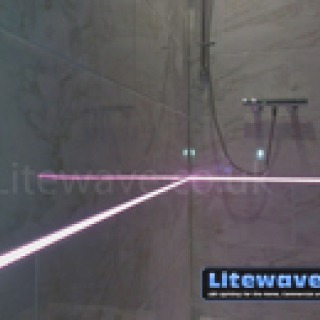 Our single colour or colour changeable LED Plinth Lights around the bath or shower. They are IP rated and are made of 304 Stainless Steel making them suitable in wet areas, they will not rust! 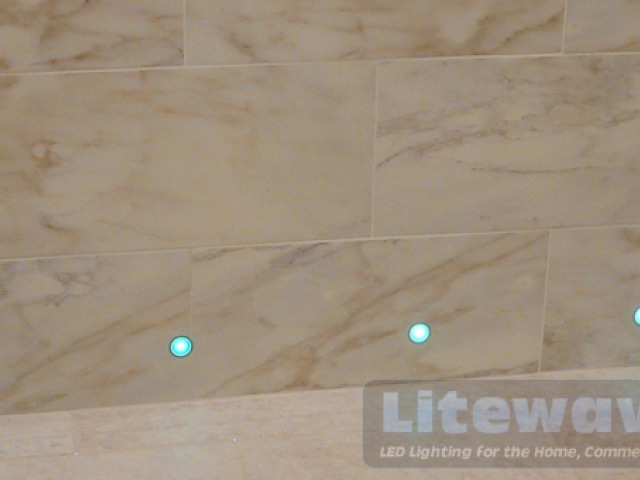 Our Plinth Lights are branded and ideal for use in tiles, or around the bath or shower plinth. They are equally suitable for use in alcoves in the bathroom or shower walls. 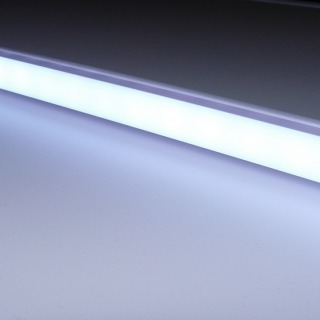 For an even brighter light our Splash Proof Single Colour Constant Current Silicone LED Strip or the Colour Changeable Silicone LED Strip is ideal for lighting ceiling voids, recesses, and alcoves. For general lighting in the bathroom or shower room we highly recommend our 8 Watt Samsung LED Ceiling Lights , they are IP65 making them suitable for use in any zone in the bathroom including above the shower. Bathroom lights have moved on by leaps and bounds over the past several years, you are no longer limited to just white or blue lights but can have colour changing LEDs and we don't mean those 7 colour lights found all over the internet which can look tacky. Some of our LED Colour Controllers are designed and manufactured in the U.K and will display white, off-whites, pastels, and stronger or even vivid colours when required. 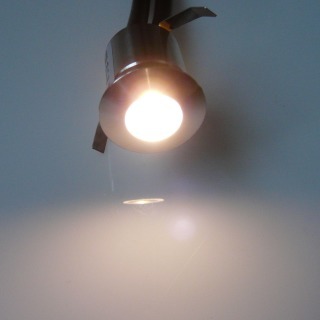 In our LED Bathroom Lighting category you will find a range of splash proof LED products suitable for use in the bathroom for mood lighting and ambient lighting.